Recent release “Sally the Blue Sheep” from Page Publishing author Archie Aycock is an endearing story meant to resonate with children who have ever felt different because of the way they look. 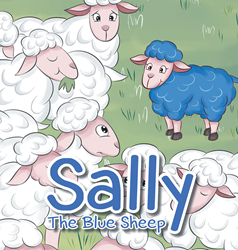 Archie Aycock, a small business owner who is the president of a community athletic program he runs with the assistance of his wife, has completed a new children’s book “Sally the Blue Sheep”: a touching story about a sheep whose blue fleece makes her stand out from the rest of her flock. Published by New York City-based Page Publishing, Archie Aycock’s engaging story follows Sally the blue sheep’s ascent from being worried about her differences to the eventual admiration of the other sheep back on the farm. In addition to the touching story, the book features vivid illustrations that help children following along, or can help young readers understand certain words. Readers who wish to experience this empowering story can purchase “Sally the Blue Sheep” at bookstores everywhere, or online at the Apple iTunes store, Amazon, Google Play or Barnes and Noble.